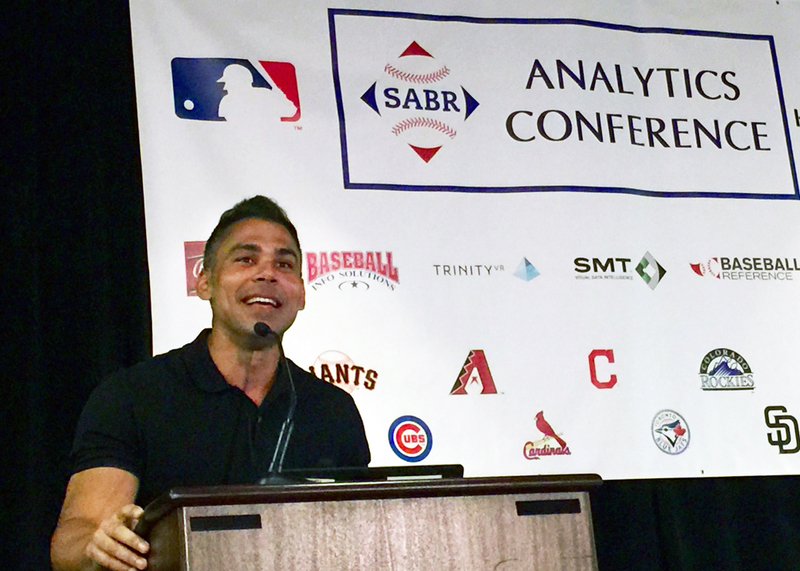 At the 2019 SABR Analytics Conference, presented by MLB and KinaTrax, on March 8, 2019, MLB Network analyst and former All-Star first baseman Carlos Peña discussed the concept of Liquid Analytics and how it helped him improve his skills as a player. Peña spent 14 seasons in the major leagues, hitting 286 home runs for eight teams. With the Tampa Bay Rays, he won a Silver Slugger Award with 46 home runs in 2007 and helped lead the team to the American League pennant in 2008. He joined MLB Network in 2014 and appears regularly on “MLB Tonight,” “Play Ball,” and other programming. For more coverage of the 2019 SABR Analytics Conference, visit SABR.org/analytics. This page was last updated March 21, 2019 at 12:41 pm MST.